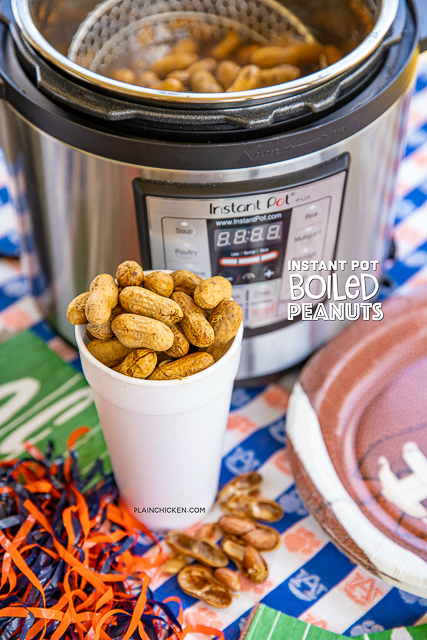 Boiled peanuts are a must during football season. 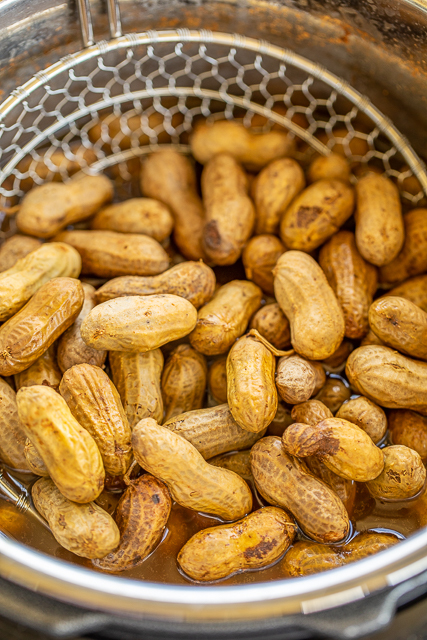 Chicken Legs LOVES boiled peanuts, so we make them all season long. I usually make them in the slow cooker, but I decided to give them a try in the Instant Pot. OMG! SO easy! They cook in less than a hour. Perfect for a last minute tailgating snack. Make sure to buy RAW peanuts. I find them at the grocery store in the produce section. Chicken Legs likes his boiled peanuts seasoned with cajun seasoning. I use Tony Chachere's Creole Seasoning. I buy the regular creole seasoning with the salt in the mixture. 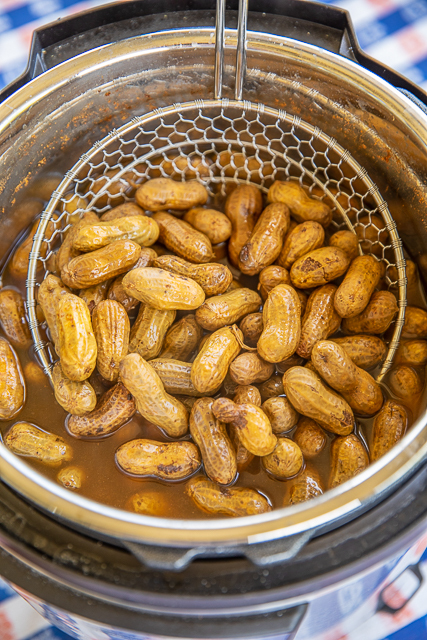 Boiled peanuts need the salt. I've also seasoned the peanuts with Old Bay or a handful of salt. All three are delicious!! 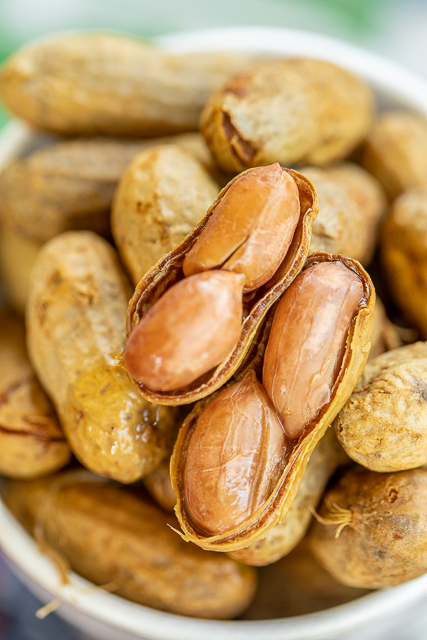 Store any leftover boiled peanuts in the fridge. We like to reheat them in the microwave before digging in again. The leftovers will keep about 10 days. 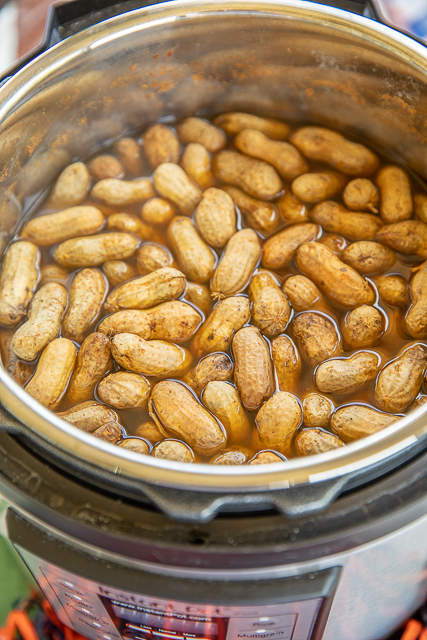 Place peanuts in the Instant Pot. Add cajun/creole seasoning and salt. Add water to cover peanuts. Secure lid and seal. Cook on "manual" or "high-pressure" for 45 minutes. Let pressure naturally release for 5 minutes. Quick release any remaining pressure. Does this amount of time in the Instant Pot leave them a little crunchy, or are they soft in the middle? Make sure you use fresh green peanuts and not dried peanuts. Green peanuts are leaps and bounds better than dried. 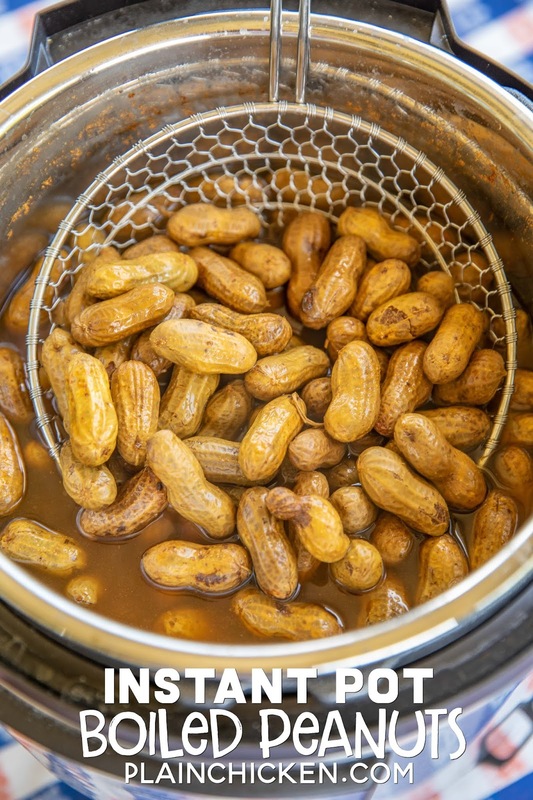 I am from SC and boiled peanuts are a huge thing here :)I make boiled peanuts several times a week during the summer. We LOVE them!! Hi Steph - can you tell me how you make boiled peanuts in the slow cooker?